The once-secret documents from the Russian State Archives of Economy have been posted online in the Electronic Archive of the Liberation Movement Research Centre on the eve of the 82nd anniversary of the Holodomor. 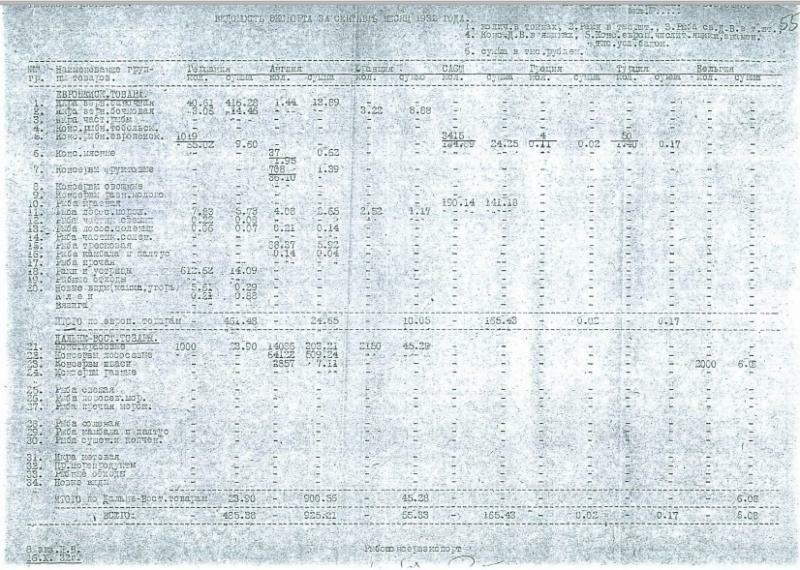 The documents classified ‘Top Secret’ and “Confidential” from the Russian State Archives of Economics (Moscow) on the export of various products from Ukraine during the Holodomor have been published online. Most of the products were exported to Germany, England, Holland, Denmark and Poland.Historians say that these 252 documents are key testimonials to understanding the scope of food export from the Soviet Union, especially from famine-wracked Ukraine. The documents show that Germany received the largest shipments of products in 1932-1933. Many exports also went to the UK, the Netherlands, Denmark and Poland. “Vegetables were exported mainly to England and Afghanistan, tomato paste – to Germany and Estonia, milk – to Mongolia, peas to Holland.” says the historian. Most of the documents come from the archives of the People’s Commissariat of Foreign Trade (file 413), some from the People’s Commissariat for Food Supplies (file 8043) and the Russian State Archive of Economics (Moscow). The Electronic Archive was opened in March 2013 avr.org.ua. It is a joint project of the Liberation Movement Research Centre, the Ivan Franko Lviv University and the National Museum Prison on Lonskoho . 23,103 copies of documents are currently available at the E-archive. The mission of our project – making the past accessible.